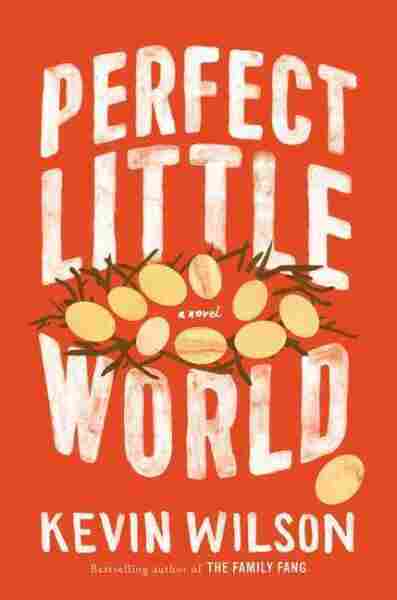 'Perfect Little World' Imagines Family Drama Inside A Utopian Compound Kevin Wilson's new novel is set on a state-of-the-art commune where children don't know who their biological parents are. Critic Maureen Corrigan says the book lives up to its title. Utopian communities don't fare much better in fiction than they do in real life. As the plot usually unfolds, a brave new world loses its luster fast when the failings of its founder are exposed, or when the community itself begins to morph into a cult. Think of Lauren Groff's Arcadia or Carolyn Parkhurst's Harmony, two recent novels that have imagined alternative communities and their inevitable crack-up. How could it be otherwise in fiction? As the Talking Heads told us, "Heaven is a place where nothing ever happens." A novel about heaven, about a successful utopia without sin or tension, would be pretty dull, indeed. Fortunately for us readers, the experimental ideal community that Kevin Wilson brings to life in his second novel, Perfect Little World, has the delicious makings of a mess from its very inception. Wilson broke out with his 2011 debut novel, The Family Fang, about two married, avant-garde artists who deploy their children as props in their performance pieces. That novel was ingenious — a whirlwind of screwball comedy, art and sad realizations about the limitations of family. Wilson is still thinking hard about the idea of family in Perfect Little World. This is in some ways a calmer, less quirky novel, but what Perfect Little World loses in eccentricity, it gains in emotional depth. Wilson's story focuses on Isabel "Izzy" Poole, a smart, self-contained, high school senior in Tennessee who falls in love with her depressed art teacher and becomes pregnant. Izzy's mom is dead, her alcoholic dad is just barely scraping by, and her teacher-lover is too entangled with his own demons to be of any use. Izzy, who's a quietly compelling character, has decided to keep her baby. She comes to the attention of something called The Infinite Family Project. Cooked up by a child psychologist named Dr. Grind and funded by a billionaire who cherishes happy memories of being raised in a caring orphanage, the project aims to place 10 infants and their parents in a state-of-the-art commune for 10 years. The children will be raised by all the adults, and for a long stretch, they won't know who their biological parents are. [Izzy] thought, for the millionth time, of her future as it lay before her without the aid of this project, working two jobs to make ends meet, her son in the cheapest day care she could find, so tired at the end of the day that her baby felt like an unbreakable curse, failing each and every day until the bottom fell out of the world. Wilson richly imagines the mundane details of life in the futuristic compound, as well as the bumpy personalities of the other parents, all of whom, except Izzy, are coupled. A year in, a research assistant to Dr. Grind declares: "The kids are going to be great; the parents are the unstable element." That's partly because the adults have trouble figuring out what they are to one another: "Brothers and sisters?" "Second cousins?" One night, as Izzy and some of the other parents are sitting around drinking whiskey smashes, another mom suggests that they're all "like the cast of Gilligan's Island." One of the fathers points out: "There was a lot of sexual tension on that show." Uh huh. The snake has been let into this nursery-land Eden, which is soon rocked by illicit hook-ups, the likes of which Ginger, the Professor and Mary Ann dared not even dream of. Wilson is such an inventive and witty writer, that it was only after I'd finished Perfect Little World and was no longer caught up in the story, that I realized how many ideas he raises here, how many kinds of family arrangements he scrutinizes, among them biological, chosen, nuclear, communal, broken and bandaged. The utopian Infinite Family Project may be flawed from the get-go, but Wilson's "perfect little world" of a novel pretty much lives up to its title.